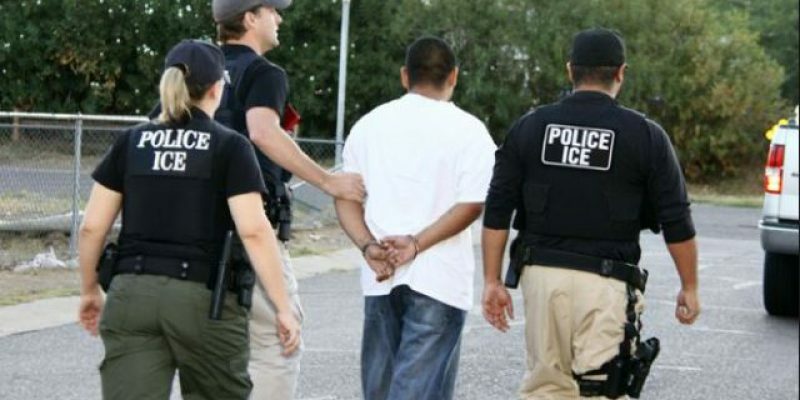 The Department of Immigration and Customs Enforcement (ICE) raided a meatpacking plant, Southeastern Provision, located outside of Knoxville in Bean Station, Tennessee, arresting more than 95 illegal aliens. Ten people were arrested on federal immigration charges, one person was arrested on state charges and 86 immigrants were detained for being in the country illegally, ICE reported in a statement last week. Everyone who was arrested was suspected of being in the U.S. illegally; most were from Mexico. Of the 86 who were arrested on civil immigration charges, ICE released 32. The remaining 54 were detained, but the agency did not state who those being detained were or why, or why those released were released. The National Immigration Law Center and other immigrant advocates said it was “the largest single workplace raid in a decade,” the Washington Post reported. In this particular raid the agents employed a “surprise blitz” of the plant and worked with state and local authorities to block off streets. ICE officials would not comment on the size of the raid compared to others. The family-run plant was under criminal investigation for allegedly evading taxes, filing false tax returns and hiring immigrants in the country illegally, according to a federal affidavit. Federal authorities executed a federal criminal search warrant to gather evidence at the cattle-slaughter facility in a joint operation among Homeland Security, the Internal Revenue Service and the Tennessee Highway Patrol. The affidavit alleges that company’s president and general manager, James Brantley (also involved are his daughter and wife who are both employees, Pamela and Kelsey), failed to report $8.4 million in wages. He also failed to pay at least $2.5 million in payroll taxes for dozens of undocumented, illegal aliens. Southeastern Provision drew federal attention after the Brantleys were withdrawing large sums of cash eversy week, which Citizens Bank employees reported. The large sums totaled more than $25 million since 2008. Not only did the Brantleys hire illegals, they treated them badly, the affidavit reveals. The plant hired illegals, paid them cash, subjected them to harsh conditions, they worked long hours without overtime pay, and were exposed to bleach and other chemicals without protective eyewear, according to the affidavit. Since Donald Trump became president, immigration arrests have risen more than 40 percent; deportations increased by 34 percent. Last year, ICE began increasing the number of work-site inspections and operations by “four or five times” from the previous year. They target certain job “magnets” that usually attract illegal aliens and then punish the employers who hire them. ICE reported that it conducted 1,360 employee audits last year and arrested more than 300 people for allegedly violating criminal and civil immigration law. Businesses were ordered to pay $97.6 million in judicial forfeiture, fines and restitution and $7.8 million in civil fines.